The 210-4470 Platinum Resistance Temperature Probes can input directly to a temperature recorder or to a signal conditioning module to provide an analog voltage output proportional to temperature. 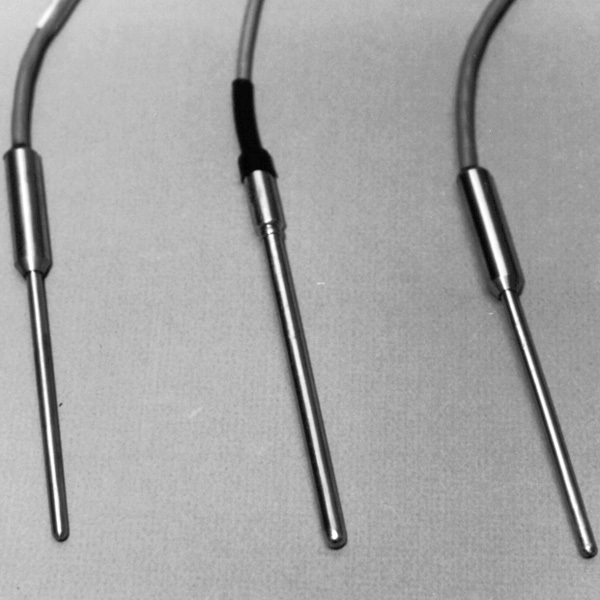 The 210-4470 Platinum Resistance Temperature Probes can input directly to a temperature recorder or to a signal conditioning module to provide an analog voltage output proportional to temperature. The 99.99% pure platinum wire has a resistance of 100 ohms at 0°C. The platinum element is encased in a 6" long stainless steel housing and the cable is sealed to prevent moisture intrusion. 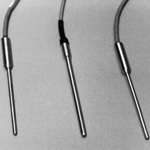 Other probe configurations (piercing models, thermowell adapters, etc.) are available on special order.